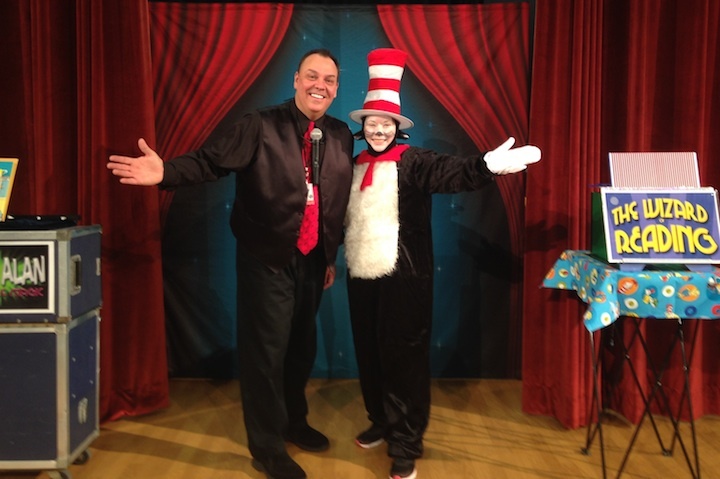 For 2 decades, Dean Alan has been presenting shows about the books and stories of Dr. Seuss to kids all over the Mid-Atlantic Region. His shows have been extremely popular. Though others have tried to copy his program, his is by far the BEST. 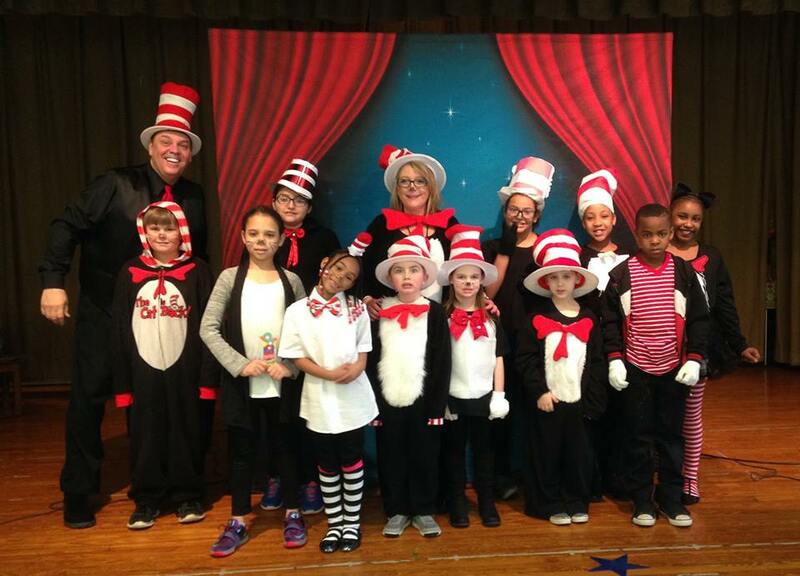 The perfect Dr. Seuss Reading Assembly for Read Across America Week. It’s also a fantastic assembly for Literacy Nights, Book Fairs and more! Each February, Dean debuts the new Wizard of Reading Seuss Assembly. 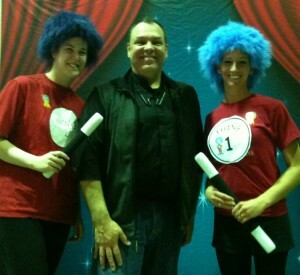 This year it’s called, The Wizard of Reading Show-Seuss-tastic Edition! But you don’t need to wait till February to see the Seuss show because he has many different versions of the show to choose from. All of the Seuss Assemblies are suited to elementary school aged children and teachers. They are fantastic assemblies to get everyone charged up about reading! 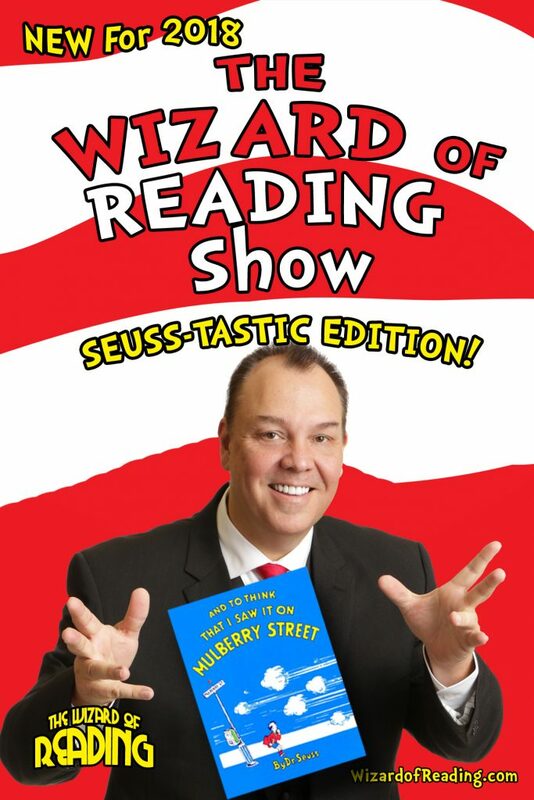 So go with the originator, go with the Wizard of Reading and his fabulous Dr. Seuss themed Reading Show! We’ve created an e-Promo Kit which is filled with additional information on the shows as well as pricing information for Single Assemblies, Multiple Assemblies, Family Nights and so on. Simply fill out the form to the right and we will send you an email with a link to the e-promo kit. If you prefer the old fashioned way, you are welcome to call. We’d love to hear from you!